Comedian and actress Iliza Shlesinger has been quietly establishing herself as one of the best and hardest-working comics in America for the past half-dozen years. Never heard of her? Millennials certainly have, and her latest comedy special “Elder Millennial” debuted last week on Netflix. Internet savvy readers are more likely to view films, concerts, specials and even binge an entire series on a tablet than on a television in 2018. Shlesinger, who returns to perform at 7:30 p.m. Friday in the Castle Theater at the Maui Arts and Cultural Center in Kahului, has more than embraced that medium. “I define it as someone born in the early ’80s. Millennials are generally thought of as young and irresponsible, but it all started with the children of the ’80s. Now, at the ripe old age of 35, I’m passing on my wizened counsel,” she said. Shlesinger regularly uses multiple voices while playing characters to tell her comedic stories. “It’s an organic thing, and the way I’ve always told stories. As a fan of cartoons and sketch comedy all my life, I see the jokes and scenes in my head vividly. The stories just manifest for me in that manner because I’m a physical comedian,” said Shlesinger. In 2008, she emerged as the only female and youngest comedian to win first place on the NBC television series “Last Comic Standing,” and has toured non-stop ever since. “Elder Millennial” is her fourth Netflix special in five years, and in 2017 she hosted the short-lived talk show, “Truth & Iliza.” I asked about one of the sketches from her show, a faux commercial selling the album “Songs For My Dog,” that she performed for her dog, Blanche. Last fall she released her first book, “Girl Logic: The Genius and the Absurdity “ — a collection of essays and observations on a confident woman’s approach to friendship, singlehood and relationships. In the book, she addresses the idea of “crazy vs. conflicted.” I asked her to clarify her hypothesis. “Women aren’t crazy. They’re conflicted. We take in so much stimuli and opinions in such a short amount of time that to try to rationalize and verbalize our thoughts sounds crazy. We’re just trying to be the best person we can be. To explain 50,000 options to a man on what you are going to wear to present yourself as attractive, professional, kind, serious and fun comes off as crazy. Honestly, saying it to you right now even sounds crazy to me,” she said. Next year, Shlesinger will be making her film debut in “Instant Family,” a comedy about adoption starring Mark Wahlberg and Rose Byrne as a couple who decide to start a family, only to find themselves raising three wild kids who have no interest in being fostered. “It’s based on a true story that happened to the director Sean Anders. I have a fun part as one of the moms in an adoption group. It’s insightful to anyone that has ever experienced adoption or fostering — and it’s hilarious,” she added. I asked the newly married Shlesinger if her return trip to Maui would double as a couple’s vacation. “It’s definitely not a vacation, but I wish it were. We’re in full tour mode. The Hawaii market doesn’t get as many comedy tours, and I loved my time on Maui last time,” remarked Shlesinger. “It’s with great sadness that I will be up at 6 a.m. to catch a flight the day after the show. “I can’t say that I’m good at tanning, but I’m good at making people out of breath from laughing. The show will be relatable and fun — at the very least it will be a good ab workout,” she offered. I asked if she has a must-visit Maui locale. 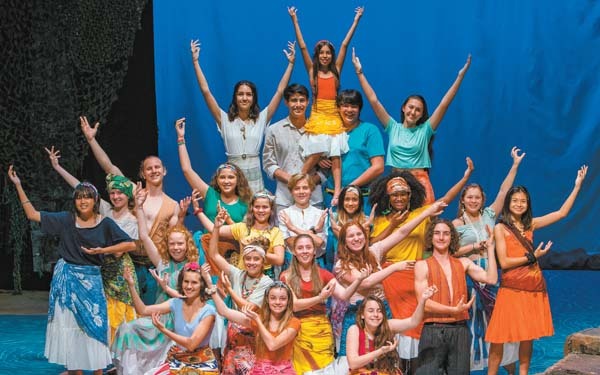 The Maui Academy of Performing Arts can pride themselves on presenting a professional and luxurious production of “Disney’s The Lion King JR.” at Seabury Hall’s ‘A’ali’ikuhonua Creative Arts Center in Makawao last weekend. 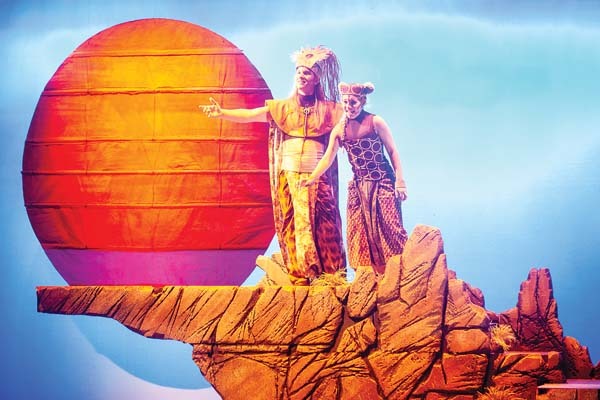 In the opening number, “Circle of Life,” I was immediately struck by Jamie Tait’s gorgeous set design, especially the rising sun, and Kathleen Schulz’s imaginative and impressive costumes, most notably the puppet-like giraffe played by Jahslyn Rajvong. The large cast excelled vocally throughout the entire production under the guidance of musical director Danielle Mealani Delaunay. Doubling as the lionesses and ensemble, Sanoe Aganos, Riley Agpalo, Halia Ball, Maile Fahnestock, Tabitha Kinney, Pumpkin Kong Guillermo, Kayla Lacio, Lucia Mckinnon, Sophia Preiser, Rajvong, Gianina Salzer, Ruby Swanzy, Naia Troesh-Worrell, Kealani Warner and Mikela Wood-Kaauwaii frequently impressed in singing complicated Swahili lyrics on “Lioness Hunt” and “Shadowland,” in addition to their well-executed movement choreographed by Schultz and Mardi Swatek. Jeremiah Webb provided a wonderful dramatic performance as both King Mufasa and adult Simba, and Dakota Welch as young Simba commanded the stage with her convincingness, stage action, charm and vocals, particularly on “I Just Can’t Wait to be King.” Khaira Rajvong nobly portrayed Rafiki the baboon, serving the production as the elder, storytelling sage. 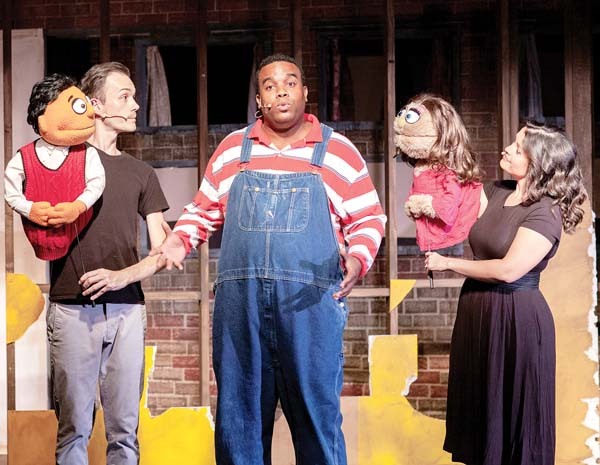 Additional highlights included the comedy of Nathaniel Amby as Timon the meerkat, Noelle Lo as Pumbaa the warthog, and Jadyn Gurley, Betty Russo and Kama’opono Aganos, respectively, as the uproarious trio of hyenas, Shenzi, Banzai and Ed. In the always necessary Disney villain role, Shandon Obregon wisely exaggerated his loathsomeness as Scar, the usurper of Simba’s crown, with winning results. 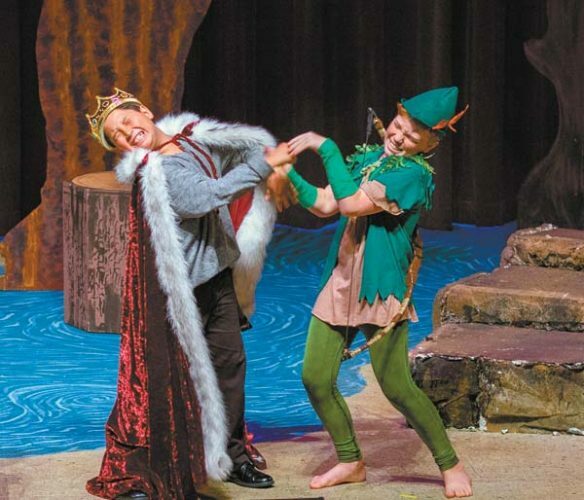 In presenting a new-to-Maui production for children, co-directors Logan Heller, Sally Sefton and the MAPA team successfully accommodated 63 youth actors and mesmerized hundreds of audience members with this picturesque musical. 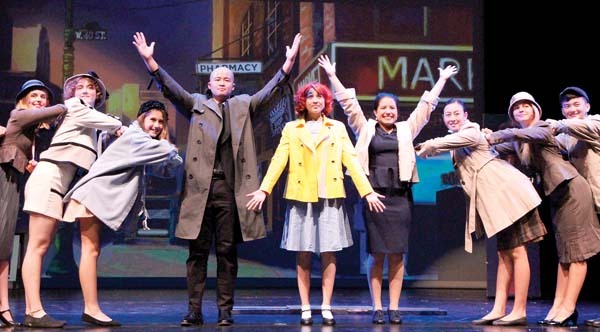 Maui OnStage concludes “Singin’ in the Rain,” book by Betty Comden and Adolph Green, songs by Nacio Herb Brown and Arthur Freed, directed by Alexis Dascoulias, choreographed by Erin Kowalick and under the musical direction of Richard Vetterli. 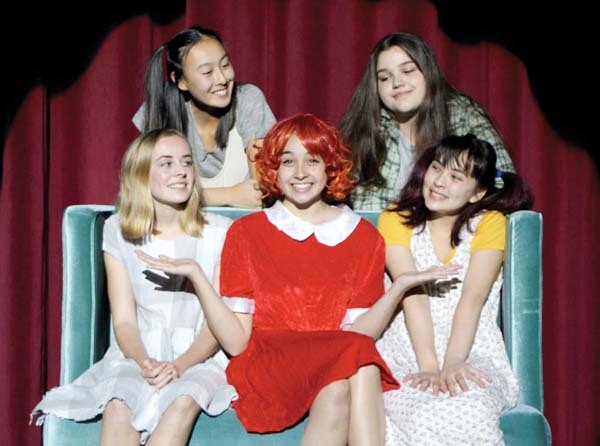 * Performances are at 7:30 p.m. Friday and Saturday, 3 p.m. Sunday at the Historic Iao Theater in Wailuku. Tickets range from $20 to $40. To purchase tickets, call 242-6969 or order online at www.mauionstage.com. 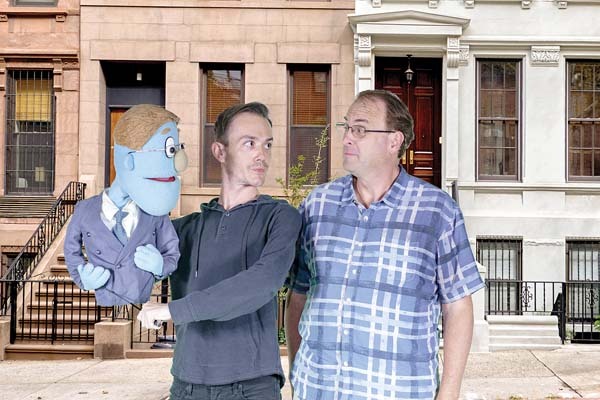 Oh Boy Productions presents the Hawaii premiere of “Albatross” by Matthew Spangler and Benjamin Evett, directed by Jennifer Rose and starring Frank Kane. Written and performed as a rollicking sea yarn, and inspired by Samuel Taylor Coleridge’s “The Rime of the Ancient Mariner,” an 18th-century sailor is cursed with immortality and thrust into the modern world. This one-man play is a fast-paced show that explores the themes of regret, isolation and the interconnected relationship between humans and the natural world, delivering a profound message about the effect of our thoughtless actions on all living things. * Performances are 7:30 p.m. Friday and Saturday, 3 p.m. Saturday and Sunday, Aug. 10 through 12 in the McCoy Studio Theater at the MACC. Tickets are $25 (plus applicable fees). To purchase tickets for any MACC event, visit the MACC box office, call 242-7469 or order online at www.mauiarts.org.